Presented here, an exceptionally nice Tea Caddy. 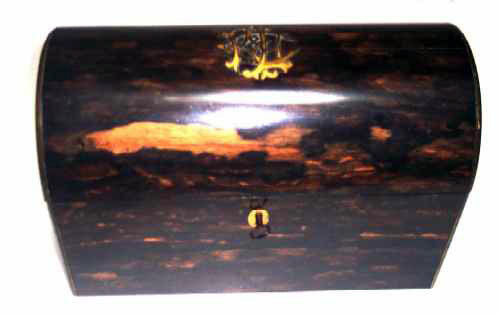 Exotic "Rosewood" Family Veneer with Brass binding. Still retains the original key which is incredible! On the lid there are the custom cast and engraved initials "K& LC" Monagram. 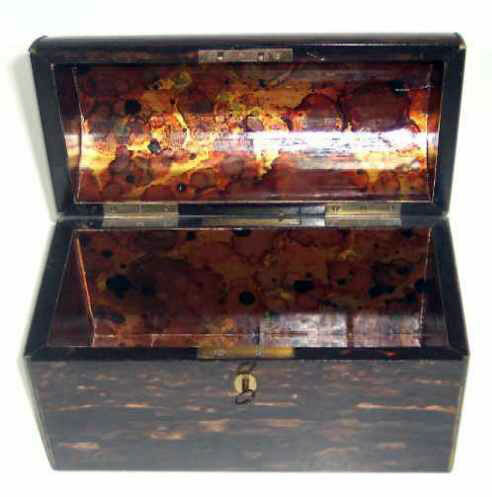 In outstanding original condition, the caddy is marked "J. Southcomde, 130 & 131 Jermyn St, London. Size is 9" long x 6" tall and 5" deep. The interior is pristine.